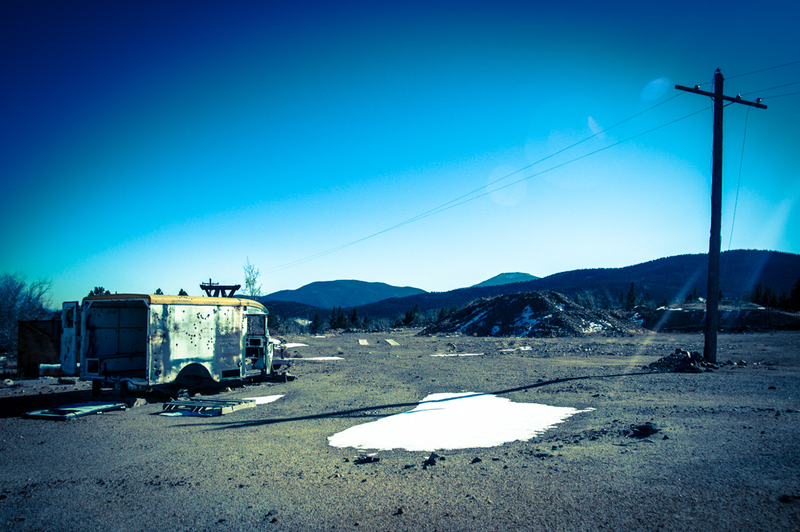 The remains of an old NASA ambulance, peppered with bullet holes at an abandoned open cut mine, Colorado. Love the post-apocalyptic wasteland scene. Cool shot.